Special Customized Products - Terminal Technologies (I) Pvt. Ltd. Combining the strength of stamping and molding, TT has been developing critical insert molded (Over molded) parts for the auto and electrical industries. Precise molded components are used in critical applications such as sensors, ignition contacts and relay bases. Any ideas from the customer can be converted to parts with ease by the excellent team @TT. We can offer solutions right from part design, tooling and production in close interaction with clients. Major progressive tools are made for complicated parts that fit precise molding applications. We work with various Tier 1 manufacturers for new product development. TT designs terminals and molds required for Bulb Holder Assembly while completing the necessary inspection requirements. TT has developed a series of Fuse boxes, Relay Bases and Frames which offers flexibility in designing any circuits. The flexi options offers to play around with a number of fuses (Mini / Blade / Midi), Relays (Micro / Mini / ISO ) to accommodate additional equipment requirements of automobile harnesses. We also offer to design fresh assembly solutions for our customer’s specific requirements. Looking at the additional requirements of automobile electrical circuits, TT has been designing completely new assembly solutions to accommodate the additional need for relays, fuses and diode assemblies. A variety of combinations are designed for customers to choose from, which can meet their needs arising out of the additional circuit requirements to improve automobile electronics. The modular are designed with secondary locks for highest reliability and stackable for infinite possibilities. 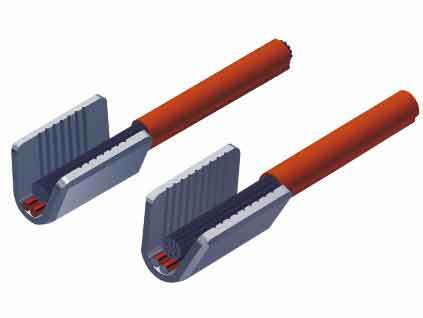 Splice terminals are specifically designed to terminate the magnet wire to itself or in combination with standard solid or stranded lead wire. Splices have sharp edged serrations inside the crimp barrel. these serrations made by a special process, pierce the insulating layer of magnet wires in a manner that provides a large contact area. In addition, copper or aluminum magnet wire, or a combination of both, can be terminated. When required, copper or aluminum magnet wire can be combined with standard, pre-stripped solid or stranded lead wires. This is available in 5, 7 & 9 serration versions for termination in the 600 ~ 3000 CMA. 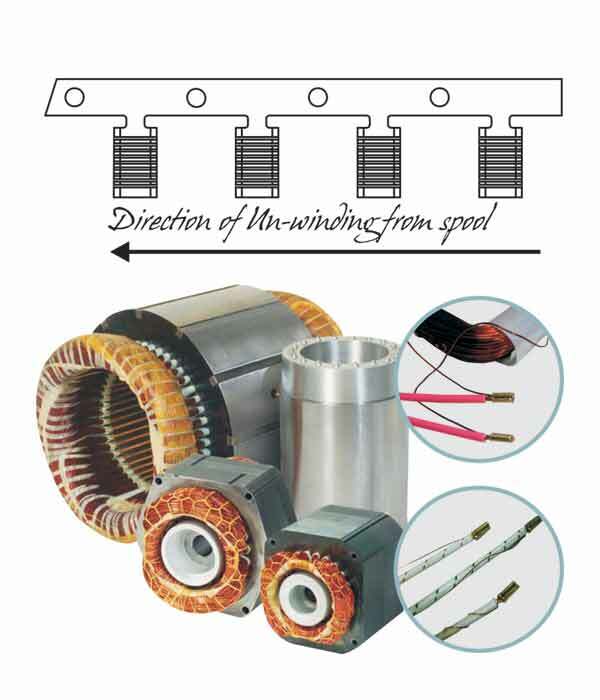 In a single crimping operation, enameled winding wire’s insulation layer is pierced due to the sharp serrations of the terminal and hence achieving electrical & mechanical contact with the lead wire. Terminating up to 2 magnet wires together with a stranded lead in one barrel. No need to remove/scratch the enameled insulation from the magnet wire for this termination.